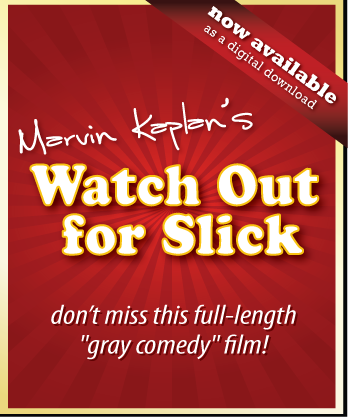 Watch Out for Slick: This "gray comedy" film will keep you laughing … and keep you guessing! In Watch Out for Slick, the town’s elderly recluse witnesses his young, pretty wife being kidnapped and alerts the neighbors. Don’t miss this full-length "gray comedy" film about nosy neighbors, klutzy kidnappers, schmucky police, and a teetering May-December marriage. Watch a free preview of Behind the Scenes of Watch Out for Slick here! Watch Out for Slick is now available as a digital download! Purchase today and gain access to an immediate download of the film. For every movie purchase you will also receive a FREE autographed photo of Marvin! Why write and produce Watch Out for Slick? "I actually witnessed most of this kidnapping event in my neighborhood. I wrote the script for Slick, basing it on this true-life experience. With a bit of tweaking, the near-tragedy became a farce. So that’s why I wrote the story. But I produced the film for an entirely different reason." "Most films star young, good-looking actors. I wanted to write a simple, homespun, nonviolent story about older, decent people – a story that would make the audience laugh and care." 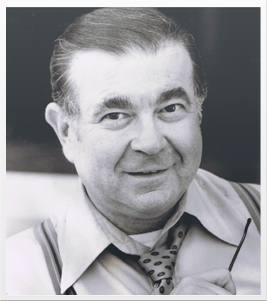 "The average age of the cast members in Watch Out for Slick is 70-plus. This is a talent pool that is foolishly overlooked in today’s market. My film is my stimulus package to give older actors employment and some good roles. Hopefully, Slick will impact their visibility and future employment." "In fact, I believe it’s time for Hollywood to turn the other cheek – to the one that’s wrinkled! You don’t need big-name stars to carry a film, just a good script and wonderful actors. The shooting schedule for Watch Out for Slick was only 15 days, and we usually wrapped up after 8 hours. You can’t accomplish that without fine actors and a resourceful director. These seasoned pros arrive on the set on time, know their lines, and are great at their craft. Why aren’t these actors working?" Show your support for film and theater! Donate to the Kaplan-Loring Foundation. Buy both "Lookin' Up and Watch Out for Slick today for a discounted price of $15.95.